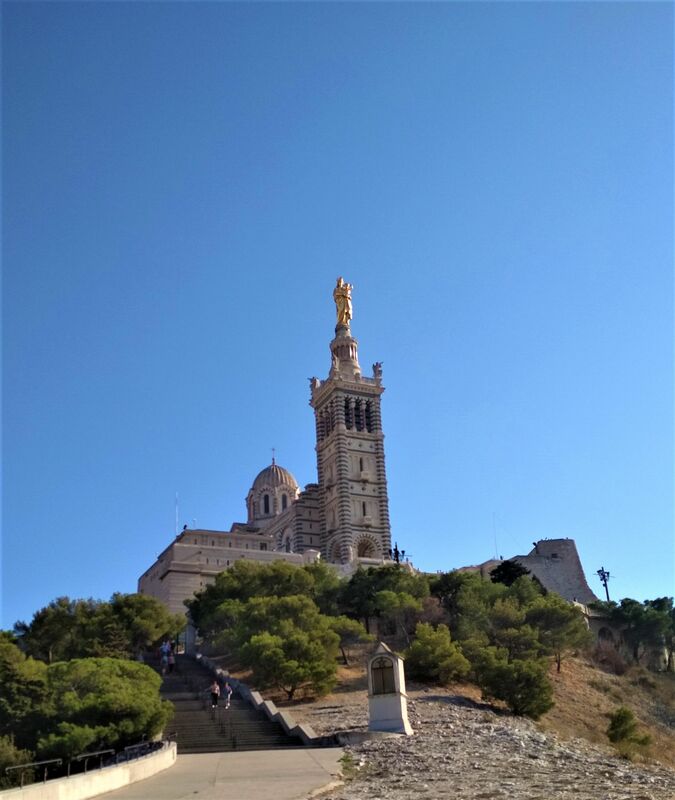 The Neo-Byzantine Basilique Notre Dame de la Garde (Basilica of Our Lady of the Guard) stands at the highest natural point in the city (149 meters) and offers marvellous views to Marseille and the Mediterranean Sea. You can see the church from various spots of the city; and its silhouette looks like a castle, giving the city a medieval feeling. 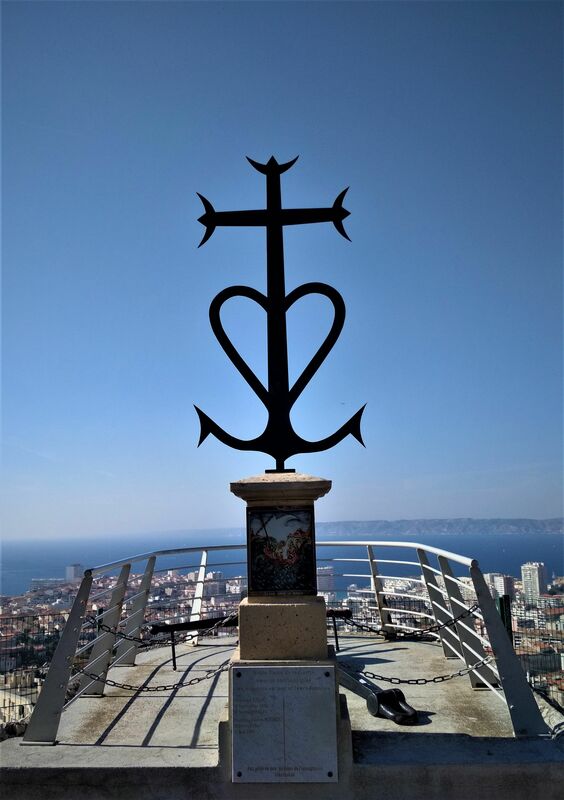 The locals see the church as a guardian and protector of Marseille and it is often called Bonne Mère (the good mother). 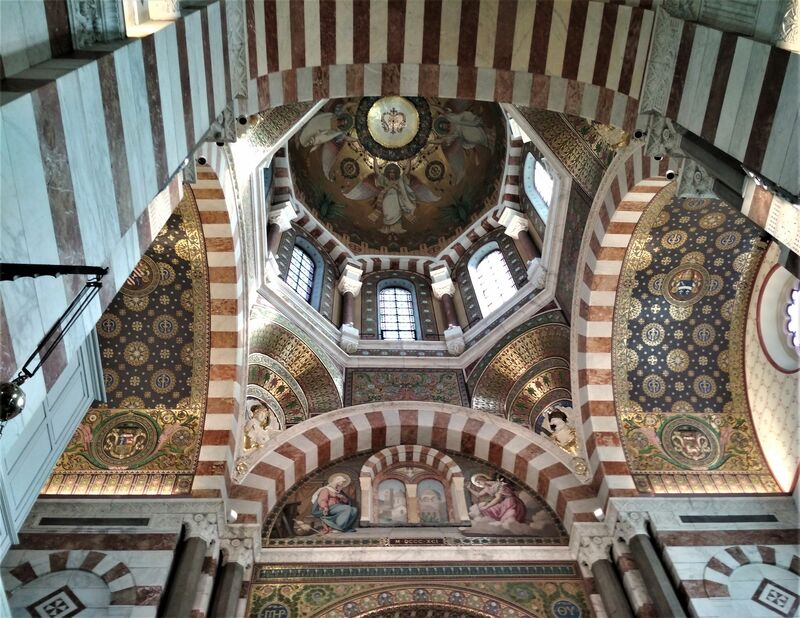 Although the basilica was built in 1864 by the architect Henri-Jacques Espérandieu, a former chapel stood here from 1214 and was replaced by a larger building in 15th century. Nowadays the Basilica consists of a Romanesque lower church (a crypt) and an upper church in Neo-Byzantine style. One of the most famous and also the most visible decorative details is the large statue of the Virgin Mary made of bronze with gold leaf right on the top of the bell tower. The church is decorated with mosaics, multi-coloured stones, gold and numerous ex-votos, (a religious offering given in order to fulfill a vow), which embodies the uniqueness of Mediterranean-style faith. On the site there’s a museum dedicated to the history of the basilica, a small restaurant and a gift shop. 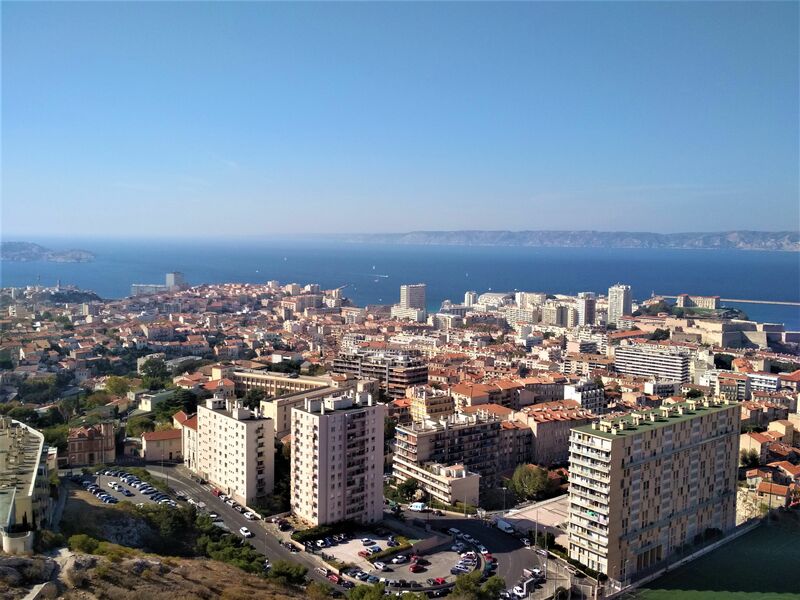 We wouldn’t recommend walking up to the top of the hill during the summer; rather go up by bus or a little train from the Old Port, and walk down to enjoy the picturesque views. 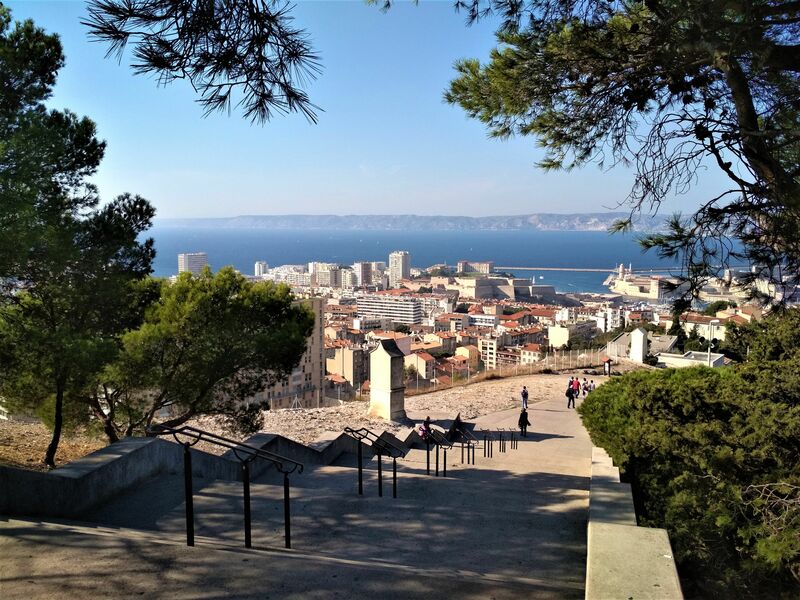 On the way down, look out for a memorial of the tank Jeanne d’Arc used in the liberation of Marseille in 1944, and also pay a visit to the Jardin de la Colline Puget (Garden of Puget Hill), a charming hidden gem.